Trash Academy – We have a right to a clean city! What are our rights and responsibilities around trash? After six busy weeks of investigation and artwork led by artist Margaret Kearney and activist Ron Whyte, the South Philly youth group is launching a public education poster, the Trashmobile, and the Park Powers drawings. 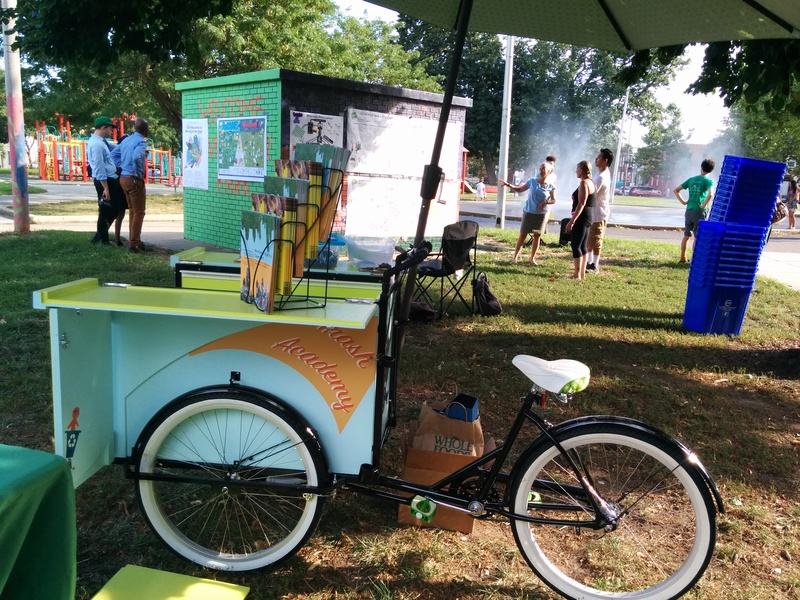 Launching took place on August 11 at Mifflin Square Park right before the Scribe’s Street Movies. Photos are posted on the Trash Academy facebook. Recycling Bins now Available at Fumo Family Library! New Photos from Frida Cantina!